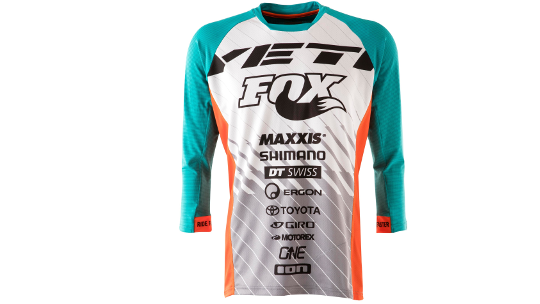 Don't only feel like a Yeti Fox Factory Team member as you speed through the trail but look like one, thanks to this replica jersey. 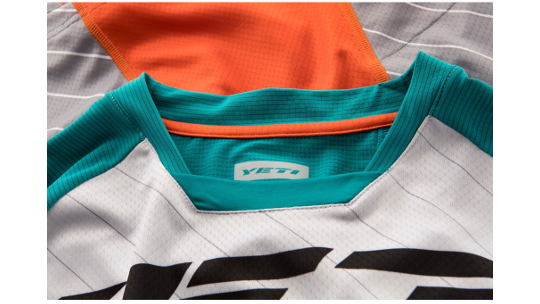 Designed in the famous Yeti cycles colours this jersey has a 3/4 sleeve cut that helps to protect you from the sun as well as the chance of crashing. 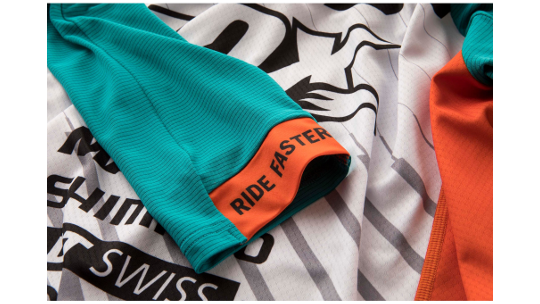 The fabric material used to design the jersey has moisture wicking technology which will keep you dry and comfortable, ensuring you stay focused on the trail ahead. 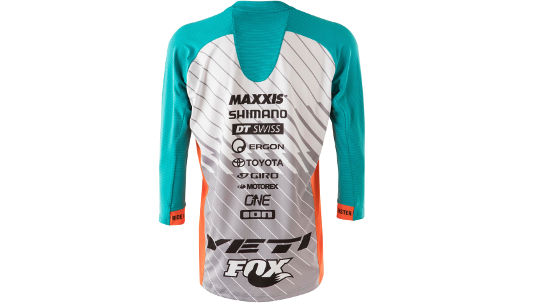 So get ready to turn the heat on, this jersey is ready to make you feel like a pro.